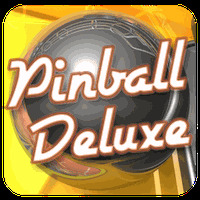 "Varied themes for greater fun"
Pinball Deluxe is an arcade game which brought, to the Android universe, all the excitement and fun of pinball tables that were the rage in the 80s. How to play: You will have to think fast using your reflexes. 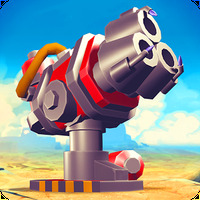 Your objective is to hit the ball by throwing it through obstacles to gather as many points as possible. You can choose among four boards that offer differentiated playing experiences: "Wild West", "Carnival", "Space Frontier", and "Diving for Treasure". The HD graphics in Pinball Deluxe are very detailed and faithfully recreate the look of pinball tables in four different models. The sound effects of the ball hitting the metal barriers and pallets increase the realism and the player's participation in the game. To kick the ball, you must press a point on the screen, hold and drop. Paddles are activated banging on the left and right edges of the screen or by using the buttons at the bottom. You can set options for vibration, the volume of the tracks and sound effects and change the display of the buttons on the screen. 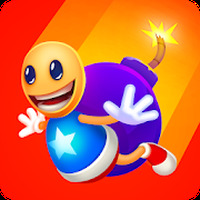 Have fun with an innovative free pinball game on your S3. A light and fast app; runs smoothly. It offers different gameplay levels. The focus is on the ball instead of showing the full view of the table. Do you like Pinball Deluxe?